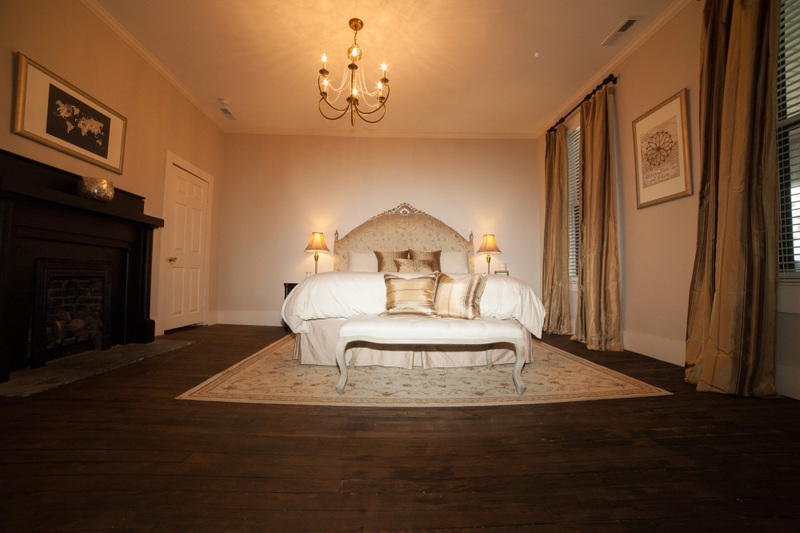 The Lucinda Room is also our Honeymoon suite. "Lucinda" was the wife of Alexander Hooper, who built the house in 1910. 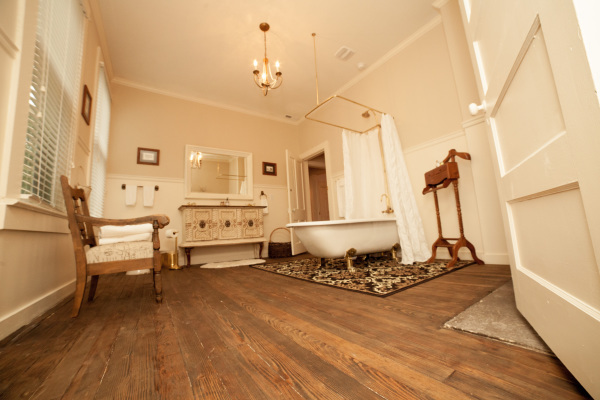 The hard wood floors in this room are the original heart pine floors that were laid by A.R. Hooper. 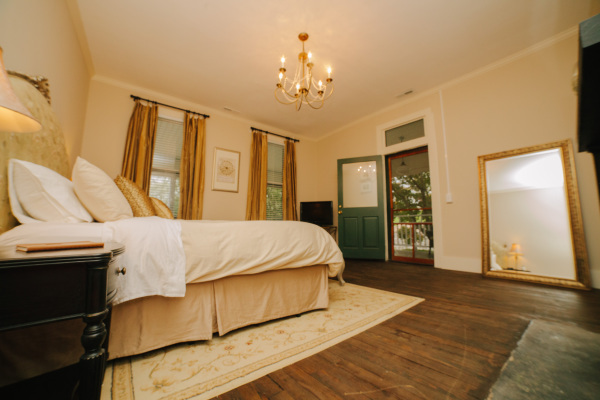 The room features a plush, king size bed with classic, luxury bedding, a flat screen tv, and upholstered seating, including a tufted ottoman built for two. There is a gas fireplace in the bedroom, as well as the bathroom, making it warm and cozy. 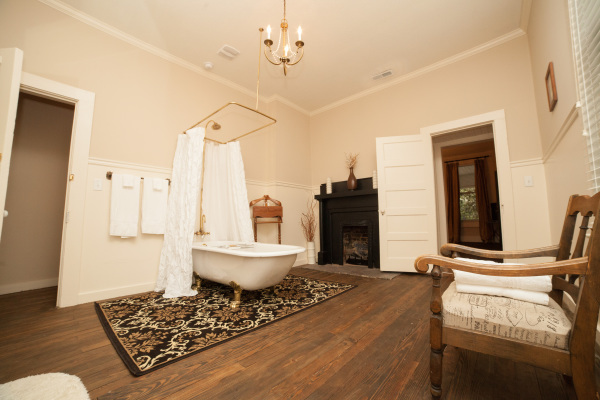 The bathroom features a claw foot soaker tub /shower and a custom double vanity made from vintage buffet. This room is on the second floor and has private porch access. Check-in 3:00 - 6:00 p.m.